Have you you thought about trying to learn Photoshop...but took one look at the bazillion tools inside and went running? Have you wondered if it’s really worth your time to learn how to use it when there’s plenty of other tools out there? 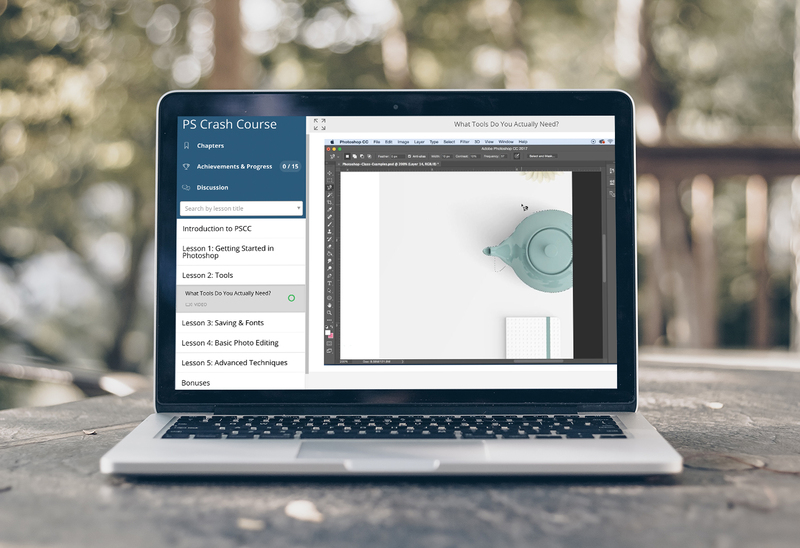 I’ll to walk you through exactly what you need to know to get started in Photoshop! You’ll walk away feeling comfortable moving around inside Photoshop, and ready to create gorgeous graphics. -How to get started in Photoshop - without feeling overwhelmed! Make creating graphics a snap with these fully customizable PSD templates! 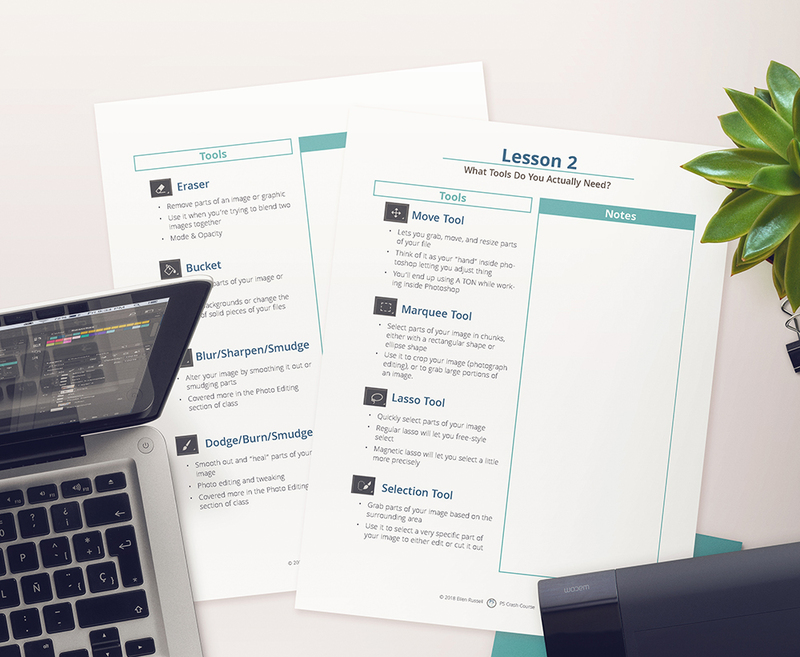 These templates will help make your life easier and your work time more efficient. They'll serve you for years to come. 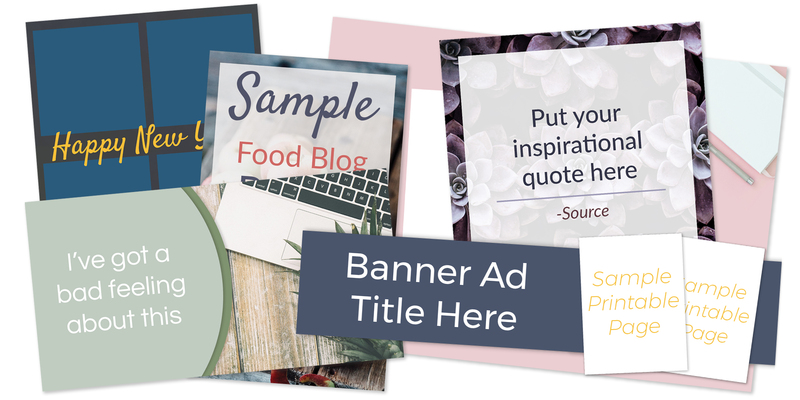 You’ll get access to templates for Facebook, Instagram, Pinterest pins, Pinterest collages, and more! Plus you'll get templates to create your own custom photo cards, invitations, or Christmas cards. Save time (and money and your sanity!) with keyboard shortcuts for Photoshop. 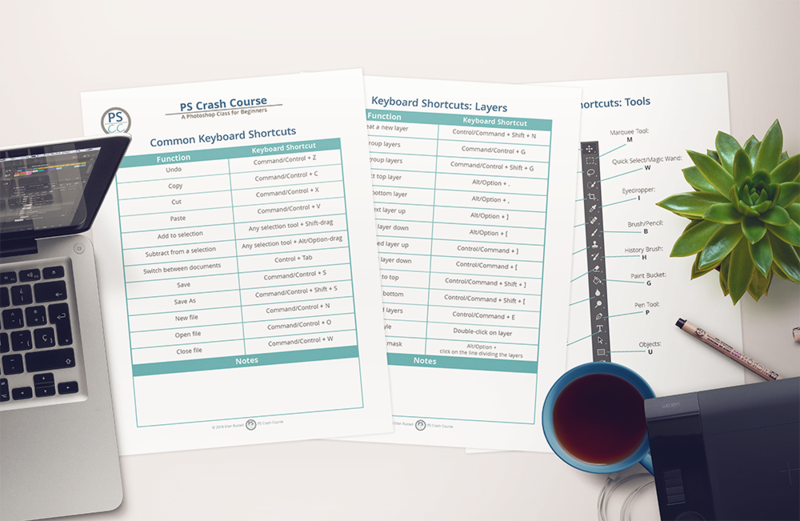 This cheat sheet shows you how to do more than 25 of the most common actions with simple key strokes - you won’t believe the timesaver this is! Ready to become a Photoshop ninja? They’re right inside the course! After you purchase and log in, you’ll find them right underneath the lessons. I don’t have a business...is your class for me? Yes! You’ll use the skills inside this course to edit photos of your family or your adventures, create your own photo cards (they’re so much better than premade cards! ), and add your own text to your social media images. If you don’t already own Photoshop, you can download a free trial from Adobe (affiliate link). Adobe offers plans that include Photoshop for as low as $10/month. If you don’t have Photoshop and don’t plan on purchasing it in the future, my class isn’t for you. But if you’re curious about Photoshop, or you have it but it’s frustrating or overwhelming, you’re in the right place. I’m happy with PicMonkey or Canva. Why would I want to take your class? There’s far more you can do in Photoshop than either PicMonkey or Canva, and the results are far superior. I’ve personally tried using both PicMonkey and Canva for various projects and not only are they limited, the final result is far less crisp and clear than what I create with Photoshop. Photoshop is what you need for high-quality graphics you can get done quickly and efficiently. A lot of what I teach you will be applicable to Photoshop Elements, but you may find there are some tools I talk about that you won’t have.